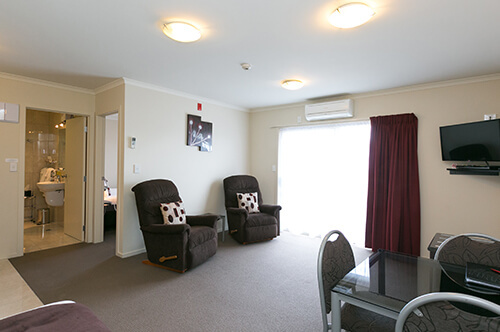 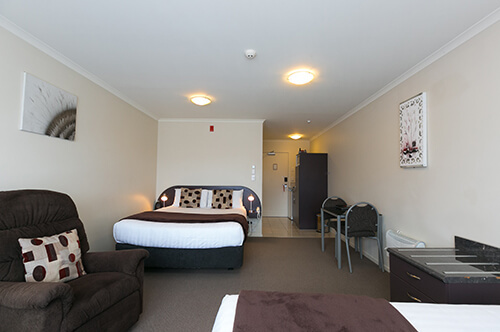 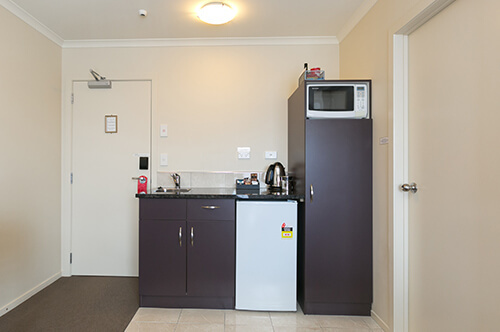 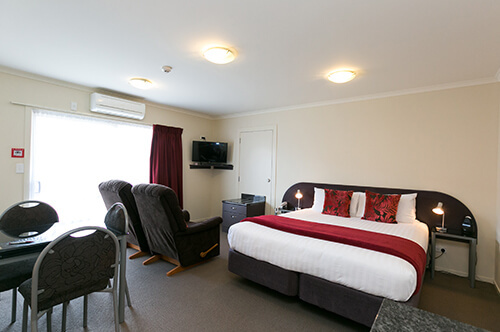 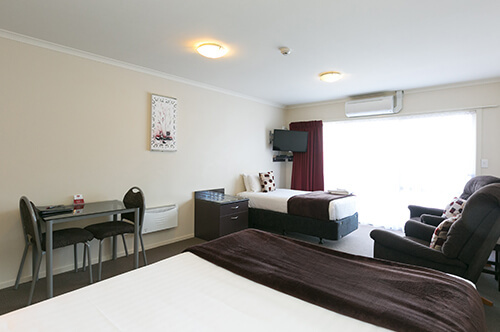 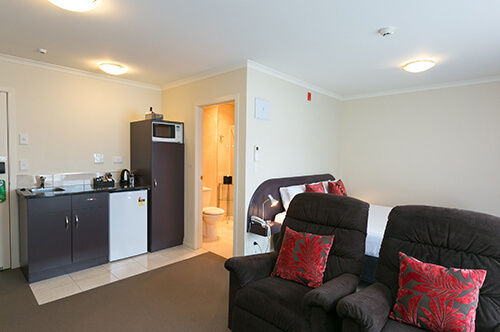 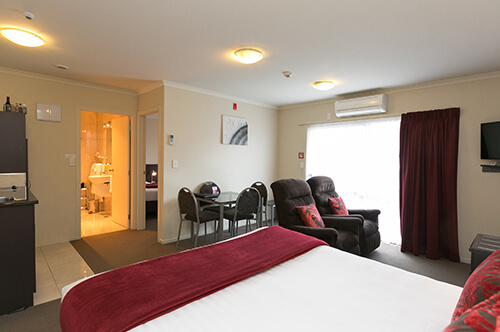 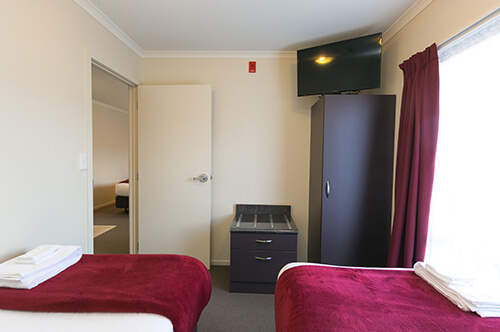 Make a reservation at B-K's Palmerston North Motor Lodge today! 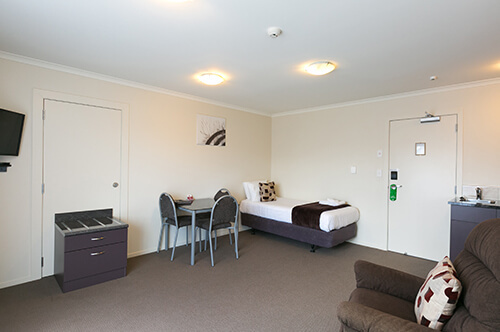 We are happy to answer any questions you may have about our accommodation options - call us on 0800 222 830 to speak to one of our friendly staff members. King/queen size bed, shower, table & chairs, two recliners, heated towel rail, microwave, hob, hair dryer, electric blanket, tea & coffee facility, electric fry pan or hob option, toaster, iron & ironing board, Smart TVs, FREE ULTRA-FAST BROADBAND connection, all with AIR CONDITIONING. King bed can be split into two singles at an extra cost of $15.00. 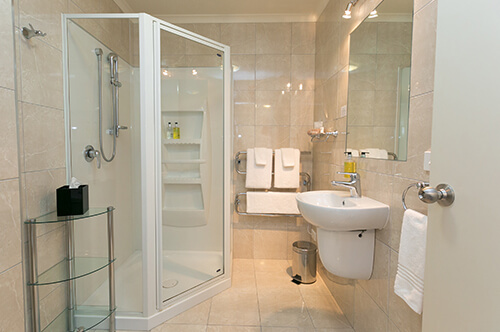 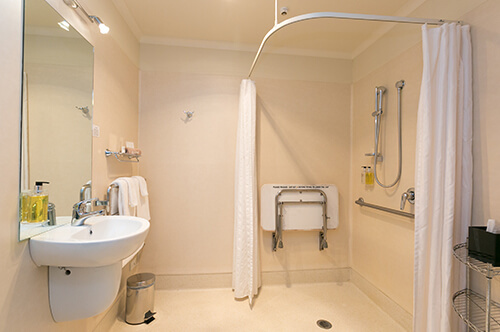 Queen size bed, one single bed, shower, table & chairs, two recliners, heated towel rail, microwave, hair dryer, electric blanket, tea & coffee facility, toaster, iron & ironing board, Smart TVs, AIR CONDITIONING, FREE ULTRA-FAST BROADBAND connection. 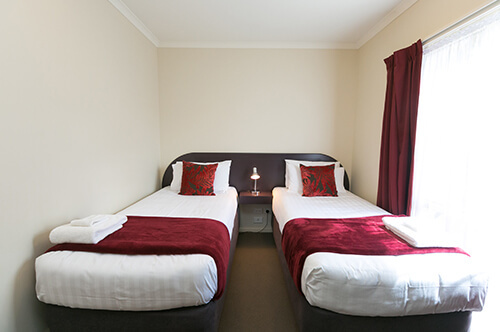 Two single beds, shower, table & chairs, two recliners, heated towel rail, microwave, hob, hair dryer, electric blanket, tea & coffee facility, electric fry pan or hob option, toaster, iron & ironing board, Smart TVs, FREE ULTRA-FAST BROADBAND connection, all with AIR CONDITIONING. Queen in bedroom & single bed in lounge, hob, Shower, table & chairs, two recliners, heated towel rail, microwave, hair dryer, electric blanket, tea & coffee facility, toaster, iron & ironing board, AIR CONDITIONING, Smart TVs, FREE ULTRA-FAST BROADBAND connection. 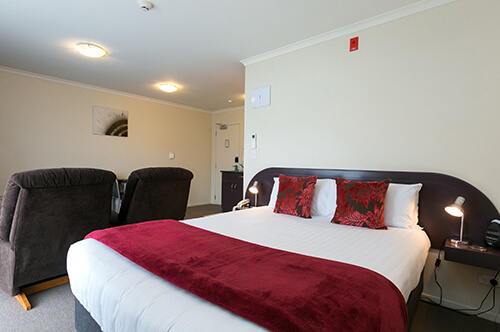 Queen in bedroom & single bed in lounge, hob, Spa bath / shower over, table & chairs, two recliners, heated towel rail, microwave, hair dryer, electric blanket, tea & coffee facility, toaster, iron & ironing board, AIR CONDITIONING, Smart TVs, FREE ULTRA-FAST BROADBAND connection. 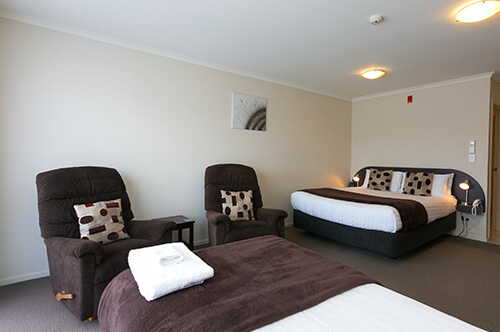 King bed lounge & two single beds in bedroom, Shower [disability access], hob, table & chairs, two recliners, heated towel rail, microwave, hair dryer, electric blanket, tea & coffee facility, toaster, iron & ironing board, AIR CONDITIONING, Smart TVs, FREE ULTRA-FAST BROADBAND connection. 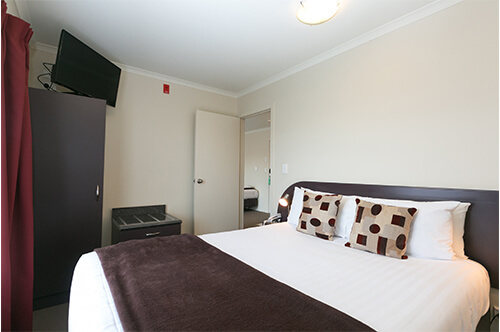 King bed can be split into two singles so suite can accommodate 4 singles @ additional cost of $15.00. 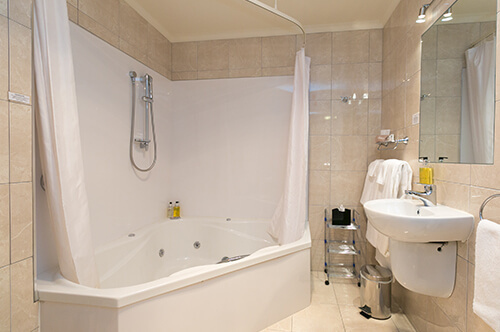 2x king & 2x single beds, 2 ensuite bathrooms, Shower & Spa/shower over, hob, 2 tables & 6 chairs, four recliners, heated towel rail, microwave, hair dryer, electric blanket, tea & coffee facility, toaster, iron & ironing board, AIR CONDITIONING, 2 Smart TVs, FREE ULTRA-FAST BROADBAND connection. 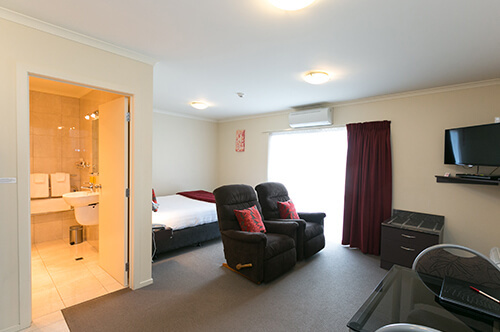 King beds can be split into single beds so suite can accommodate six singles at an additional cost of $15.